New Audit Jobs In Kenya. 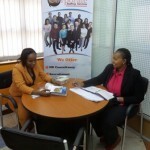 Find auditing jobs from top companies and employers in Kenya. We have Internal Auditor, Audit Assistant, audit manager, audit intern among others.